Everybody’s talking about August 21st, 2017, the date of the solar eclipse that will be visible across a wide swath of the United States. Not since 1979 has a total solar eclipse been visible in North America. For many people living in South Carolina, the eclipse will be a total one. Folks in Greenville and Columbia will experience complete black out at the height of the eclipse. Spartanburg will be quite close to totality as well. In Rock Hill the eclipse will not be total, but the partial eclipse will still be wondrous. With less than 1% of the sun visible, it’ll be nearly complete. Here’s what you need to know before you set your eyes on the skies. To get yourself ready to view the partial eclipse in Rock Hill, head over to the Museum of York County on Wednesday, August 2nd for the Wonderful Wednesday presentation of Totality. This planetarium show will tell you all you need to know about eclipses before the big day. When you know what you’re seeing, you’ll appreciate it that much more. You’ll also find out the best places to view the eclipse. If you have children in the Rock Hill schools (or if you’re a student yourself), be aware that students will be dismissed early on August 21st. The half-day will allow kids to find a prime viewing location with plenty of time to spare. 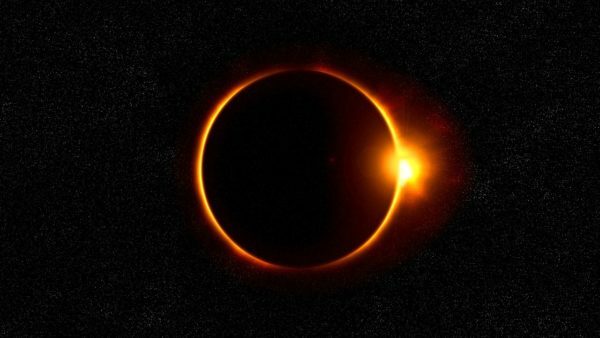 The eclipse will begin at 1:15 p.m., with the moon beginning to take a small bite out of the sun. This bite will grow larger and larger until the maximum eclipse (99.1% in Rock Hill) at 2:41 p.m. At 4:06 the eclipse will be over, with the moon sliding away from the sun again. Although the sky will appear quite dark and most of the sun will be covered, you should still view the eclipse through filtered lenses. The slight amount of light can damage unprotected eyes. Either grab a pair of eclipse-viewing glasses or build a box that will allow you to chart the eclipse’s progress without turning your eyes skyward. If you miss this one, you’ll have to wait until May 2078 for another eclipse to pass over Rock Hill. We know that some young ones in the Rock Hill community will be around for that one, but the rest of us had better enjoy it this time around!